The Arctic Technology Conference is built upon OTC’s successful multidisciplinary approach, with 14 technical societies and organizations working together to deliver the world’s most comprehensive Arctic event. 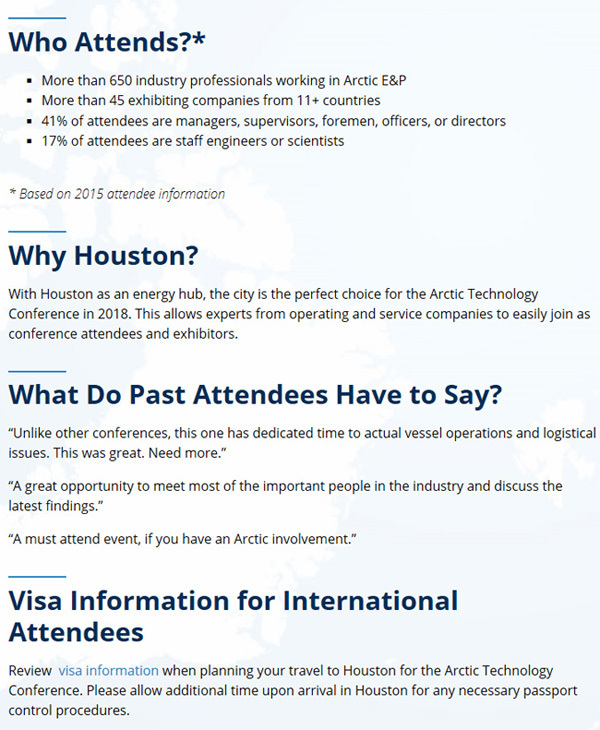 The Arctic Technology Conference, an OTC event, is a prestigious venue for executives, managers, scientists, engineers, and investors to share innovative solutions and emerging technologies that address the cutting-edge technologies and practices needed for exploration and production in the Arctic. 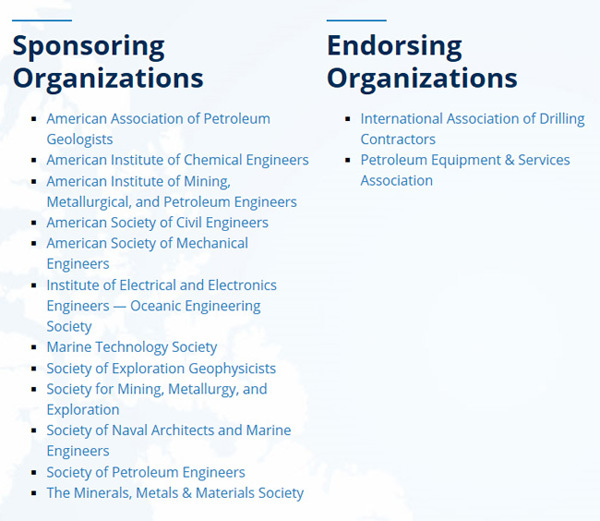 The conference is built upon OTC's successful multidisciplinary approach, with 12 technical societies and organizations working together to deliver the world's most comprehensive Arctic event. Join us to collaborate and find unique solutions for successful operations in this area and to contribute to expanding interest in onshore and offshore activities at high latitude!